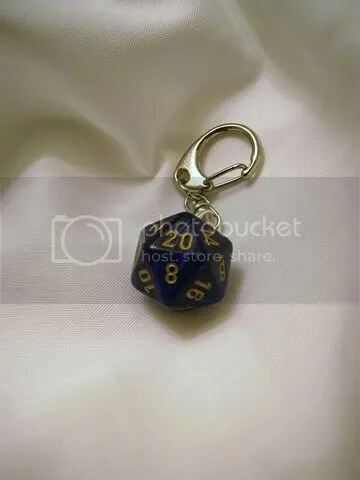 This beautiful keyring was commissioned by Perlin’s husband and was made from a single standard-sized lustrous Blue Scarab ten-sided dice with gold numbers. The colours of the dark blue and gold entwine with each other, giving the illusion of the grandeur and mystery of night. 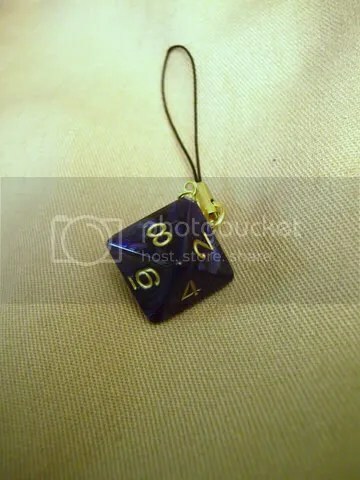 This pendant is from a collection I have up for sale and were made from a single standard-sized lustrous Scarlet Scarab twenty-sided die with gold numbers. 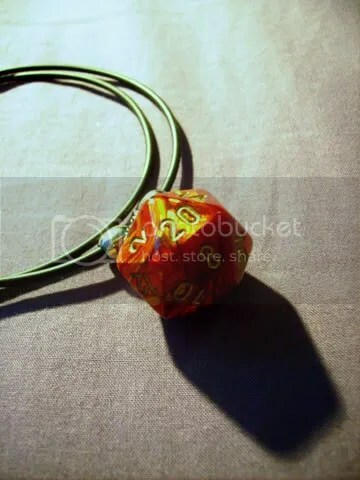 The colours of the scarlet and gold entwine with each other, giving an almost lava-like, fiery hue. 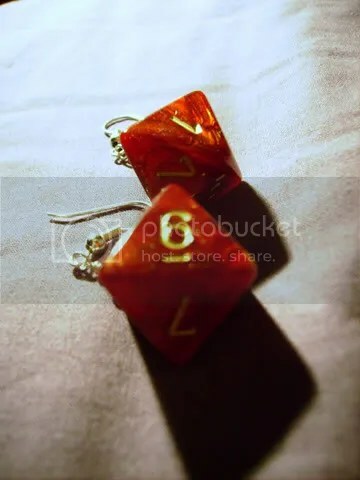 This pair of earrings are from a collection I have up for sale and were made from a pair of lustrous Scarlet Scarab eight-sided dice with gold numbers. The colours of the scarlet and gold entwine with each other, giving an almost lava-like, fiery hue. 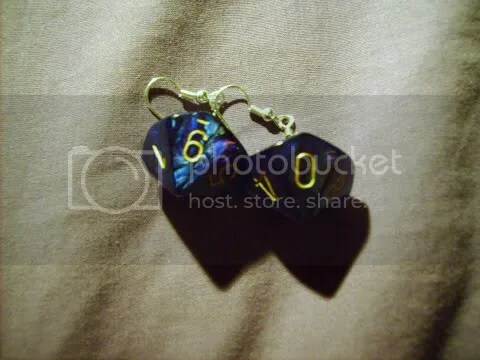 This pair of earrings are from a collection I have up for sale and were made from a pair of lustrous Blue Scarab ten-sided dice with gold numbers. The colours of the dark blue and gold entwine with each other, giving the illusion of the grandeur and mystery of night. 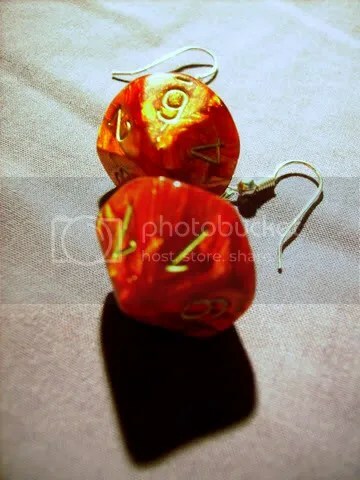 This pair of earrings are from a collection I have up for sale and were made from a pair of lustrous Scarlet Scarab ten-sided dice with gold numbers. The colours of the scarlet and gold entwine with each other, giving an almost lava-like, fiery hue. 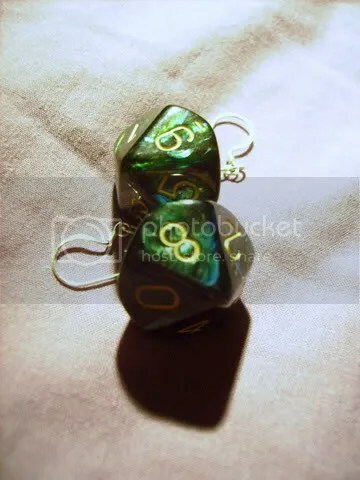 This pair of earrings are from a collection I have up for sale and were made from a pair of lustrous Jade Scarab ten-sided dice with gold numbers. The colours of the jade and gold entwine with each other, giving a very regal, royal look.